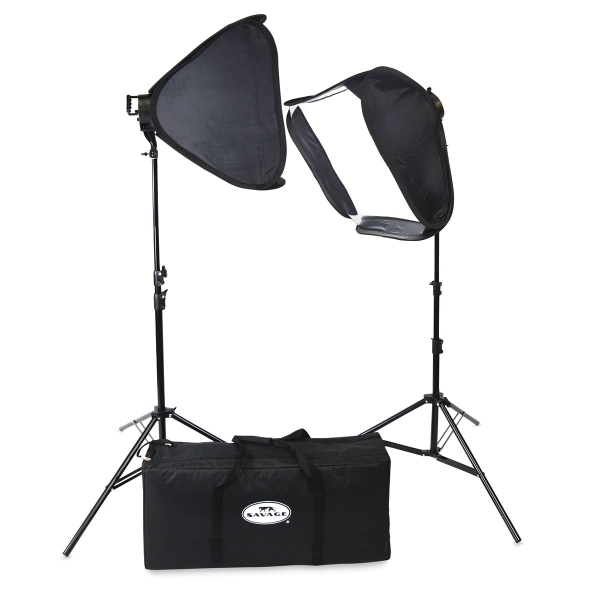 Everything you need for studio work and location photography in one handy kit! The Savage LED Portrait Kit provides 5600K of daylight balanced light and features a stepless dimmer for maximum light control. 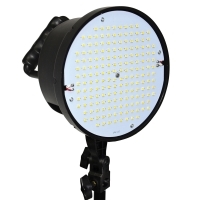 The two high-powered lights consist of 176 chip-on-board LED lights, which produce the equivalent of 600W of incandescent light and use only 70W of electricity. Two 20" softboxes pop open for quick and easy setup and create soft, even lighting for high-quality portraiture. Store everything in the included padded carry bag, which contains extra space for other photography accessories. This kit includes two dimmable 176 chip-on-board LED lights, two quick-open softboxes with detachable baffles, two 6 ft light stands, two protective pouches for LED lights, and one padded carry bag.